Capt. Delmar J. Hayter, son of Mr. and MRs. Lester Hayter, graduated from Fredcerick High School and Okla. A & M. Entered Amry in Feb., 1941, trained in Camp Roberts, Cal., Ft. Sill, Okla., Camp Cambell. 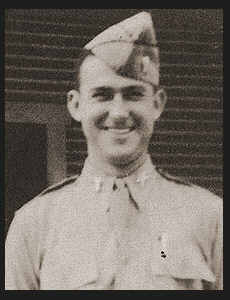 Ky., and Camp Barkeley, Texas; went overseas in Sept., 194, served in France, Central Europe and Germany. Awarded Good Conduct Medal, ETO Ribbon, Am. Defense Ribbon, Occupational Ribbon, Bronze Star.